HomeViolet! You’re turning violet, Violet! What a terrible way to lose a game. Lugo was out by a good five feet (another view). Meals claimed McKenry “olé’d” Lugo, and that he didn’t see the tag. As you can see, home plate is behind McKenry and the glove—with the ball—appears to be touching Lugo on the leg, and Meals appears to be looking at it. For his part, Lugo said he thought Meals made the right call, but what else is he going to say? Especially when Meals is the third base umpire the following night? 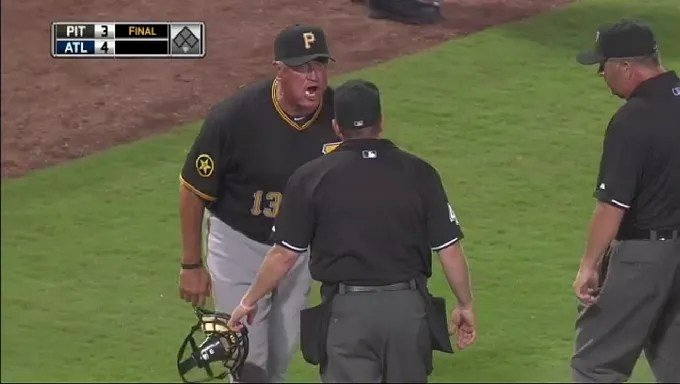 I would not be surprised if a bunch of Pirates get ejected tomorrow. With all that being said: if the postseason failures of ’09 and the Galarraga “perfect game” last year didn’t prompt them to introduce expanded instant replay, do you really think this is going to push them over the edge? It’s going to take something catastrophic—think Yankees or Red Sox losing a World Series title on a missed call—to cause real change, imo. They seem perfectly content to point to the “human element” until the end of time. Apologies to Charlie and the Chocolate Factory. 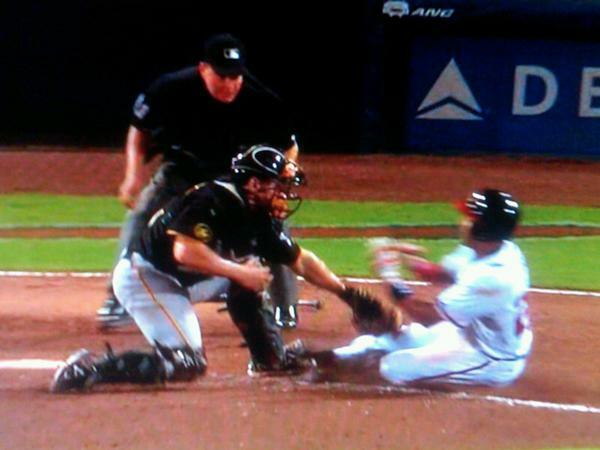 Upon watching the replay, Jerry Meals said he got the call wrong. Good on him. Too bad he couldn’t have gotten it right in realtime. In actual Tigers-related news, Justin Verlander beasted his way to a 5-4 victory, his fourteenth of the season. In the bottom of the eighth, the White Sox tried to snag victory out of Verlander’s steely, manful grip, but he was all, “Oh hell no!” and then proceeded to make Paul Konerko and Adam Dunn, both of whom had homered off Verlander earlier in the game, wet their pants. Inning over, threat over, game over. The Indians pulled a Detroit Tigers and loaded the bases in the bottom of the ninth with nobody out and failed to score. They ended up losing that game 2-1. Thanks to the Tigers’ victory, Cleveland is two games out and Chicago is four games out. After getting clobbered by the Rangers something like 1,000,000-5, the Minnesota Twins stole victory from the jaws of defeat and withstood Joe Nathan putting two men on in the bottom of the ninth to win 9-8. Neftali Feliz blew his fifth save of the season and took the loss. The normally reliable C.J. Wilson was struggly, giving up six runs (five earned) in four innings of work, with seven hits, three strikeouts and four walks allowed. Twins’ relief pitcher Michael Cuddyer had a nice night at the plate, going 2-for-5 with a stolen base and an RBI. Minnesota is now seven games out of first. Obviously this is now their division to win. People are becoming increasingly less able to detect sarcasm over the Internets.